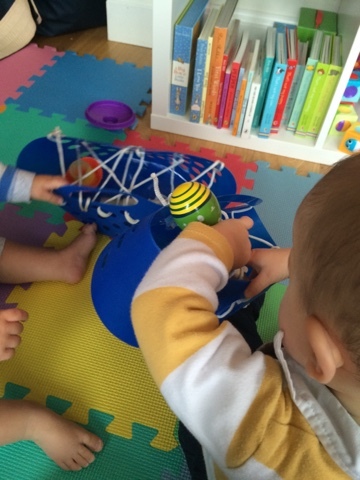 Arthur and his friend loved trying to retrieve the items from the baskets and they perservered for much longer than I expected! 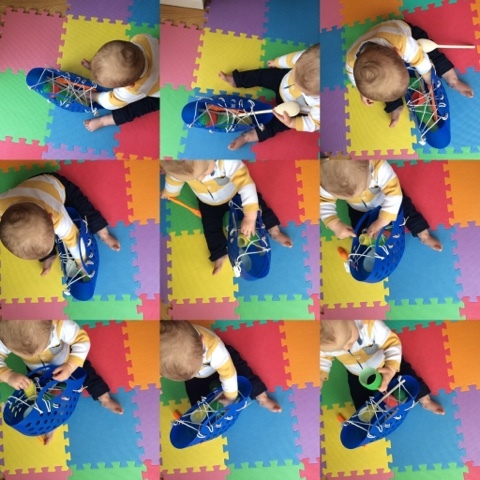 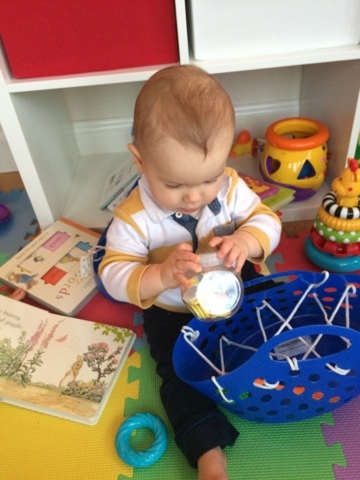 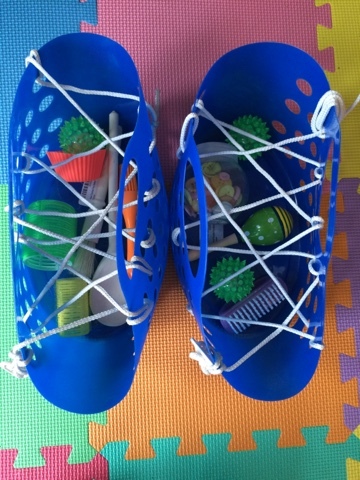 This activity can be differentiated for each individual child by making the spaces between the string/rope bigger or smaller, having more/less string and having bigger/smaller items to try and get out of the basket. 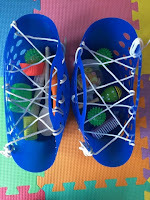 Any basket with holes or spaces to tie the string will do, or even a colander! !